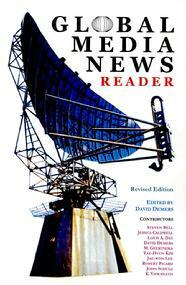 For the past four years, Global Media News has brought readers news stories, in-depth articles and commentaries about global media corporations like AOL Time Warner and The Walt Disney Company and the problems they face. This book brings together 32 of these articles. Policy makers, citizens and students in mass meida college courses will find this book useful. A portion of the proceeds from the sale of this book goes to support the non-profit Center for Global Media Studies, which publishes Global Media News.